Book now for the Wild Ropes Course! To see our availability and to make an online booking using our secure online booking system, just follow the link below. 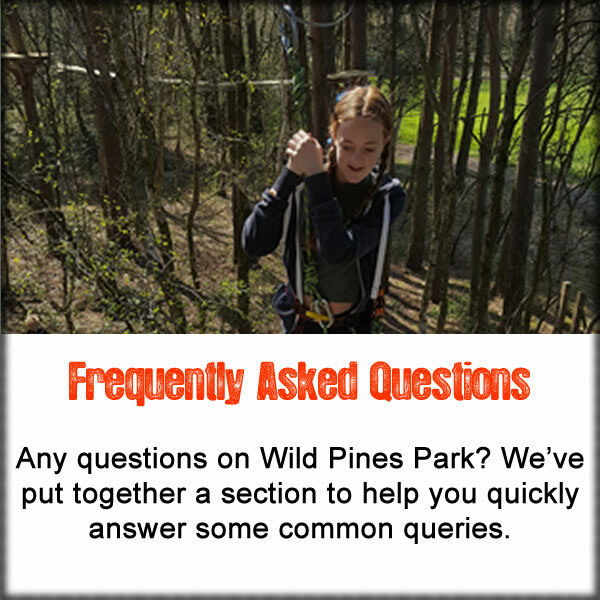 Please note that although the Wild Ropes Course is suitable for children 8 years and older the absolute minimum age 6 with an advisory height of 140cm and a strict weight limit of 17 stone (108kg). The Big Zip & Challenge Course is a strict minimum age of 10 and a strict height of 150cm. This will take you to our secure booking page.